In the last years, Florian’s business strategy has seen the brand develop internationally with the opening of new locations in a modern and contemporary style that take the original 18th-century Café alive. With its complete product range, the Florian brand presents various formats, each tailored to the market’s needs and the variety of distribution channels: flagship store, boutique coffee shop, retail corner and shop in shop. Standing for impeccable, exclusive service, the Florian brand product range embodies a style that reflects its strong Venetian heritage and the elegance of Italian design. 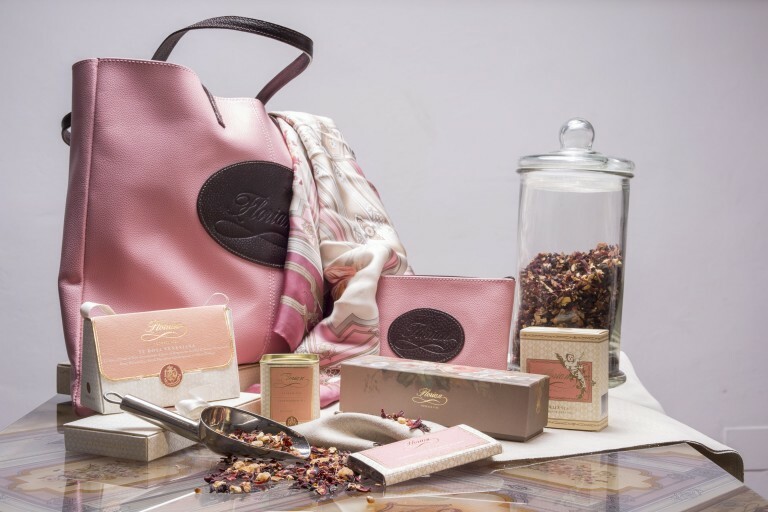 Florian products’ tradition of quality is reflected in each of the three branded collections: the exquisite Gourmet specialities, the elegant Lifestyle range, and the unique Design objects. Florian brand products are available in the corner shops inside the Florians worldwide, in international prestigious specialties stores and on the Florian website. Florian today represents a lifestyle imbued with Venetian tradition, with a historical legacy whose international roots have made it modern before its time. Florian lets its customers share a timeless experience that they can take with them and savour at any time, in any place. It is a luxury rituality that affirms Florian as a bridge uniting traditional values and the dynamism of modern life.